Nothing quite says “weekend” like Palm Springs – lots of sunshine, scenic landscapes, great restaurants and drinks by the pool. What better way to celebrate the weekend with a couple of Palm Springs Krisels? 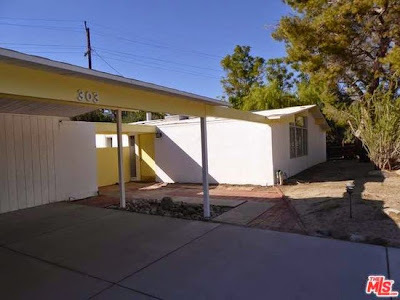 In the late 1950’s the Alexander Construction Company brought modernist tract housing to the Coachella Valley after many successful years building in the San Fernando Valley. 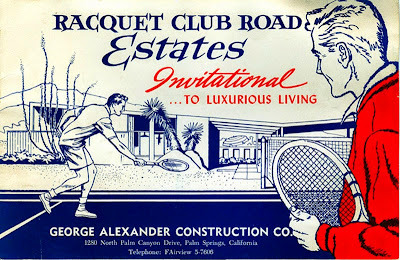 After completion of the Twin Palm Estates subdivision work began planning out Racquet Club Road Estates, originally geared towards second-home buyers from Los Angeles. Each home was identical – 3 beds, two baths, living areas on one side of the home and bedrooms on the other. All was wrapped up in 1,225 square feet with a two-car carport. To create diversity, neighboring homes featured various elevations and rooflines, and were rotated 90-degrees. This particular Krisel home, located at 303 Laurel Circle, sits on a 10,800 square-foot lot, and of course contains 3 bedrooms and 2 bathrooms in 1,225 square feet. Asking price is $467,000 - and this home has been sitting for a while. 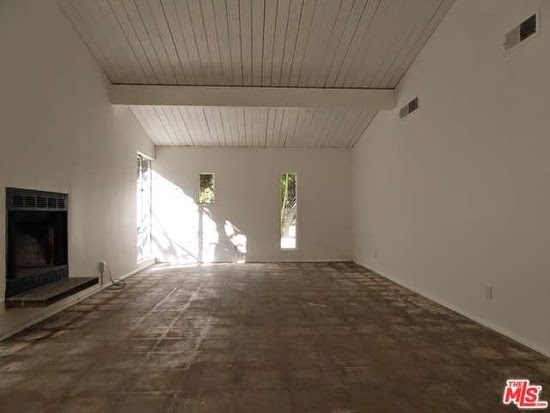 What’s great about this home is that it’s practically a blank slate for someone to make it their own. The original kitchen is still intact. 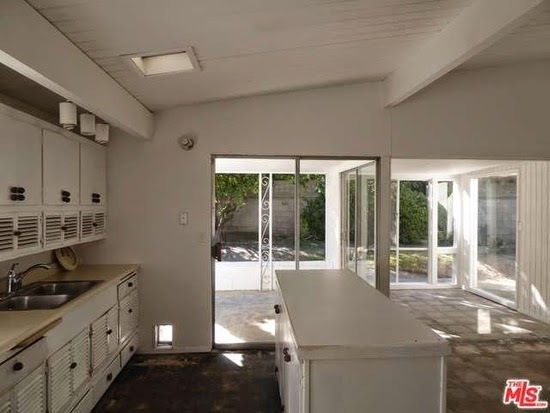 Usually I’m a fan of restoring or utilizing original features, but I’m not so sure about the louvered cabinets – I’d almost rather see the pegboard sliders for cabinet doors that we’ve seen in other Krisels here. Also, I think the quadruple door pulls are throwing me off. The other rooms are waiting for a personal touch – all the flooring has been removed throughout. There’s also a sunroom off the back, which appears to have migrated its way into the habitable space of this home. One great original feature is that floating hearth in front of the fireplace – such a great mid-mod Krisel-signature feature, along with those beamed ceilings. Out back it’s a blank slate – lots of trees and shrubs, but minimal order to the layout. 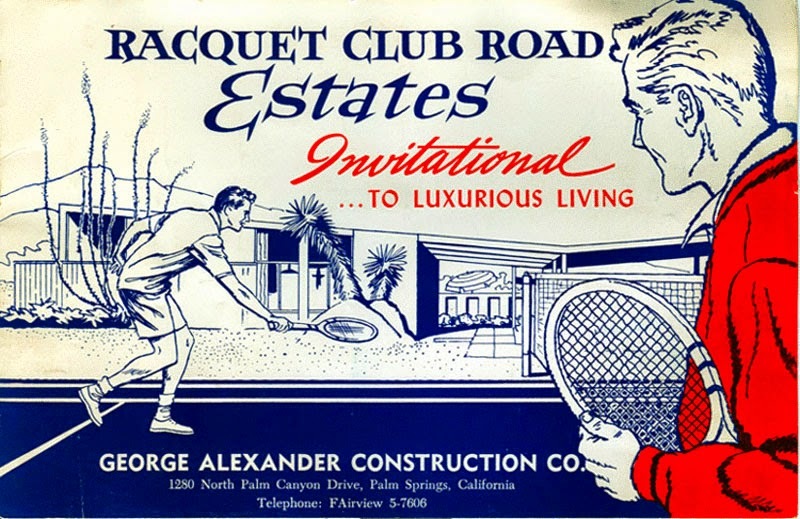 This property is a great glimpse back into what an original Raquet Club Estates home looked like, and it’s begging for a new owner to take it to the next level.